Boo! It is my favorite time of the year, Halloween season! 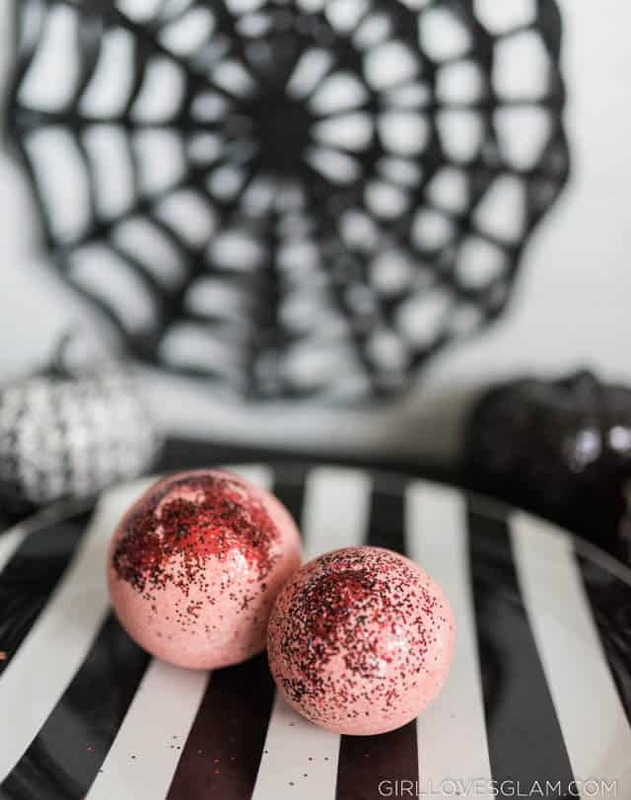 What better way to celebrate than a seasonal bath bomb, inspired by a play on words… blood bath! Now, I will give a bit of a disclaimer and tell you that this could have gone pretty gory. I chose to keep it less gory but if you want this to literally look like you are bathing in blood you could. 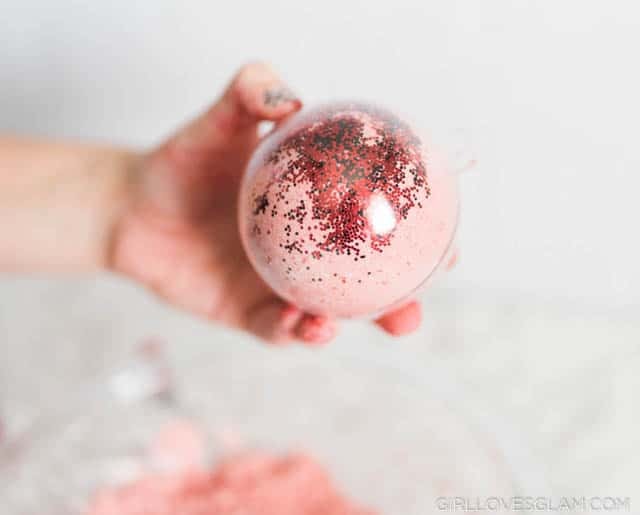 This blood bath bomb recipe is easy to make and can be totally customized for the scent and the gore level. 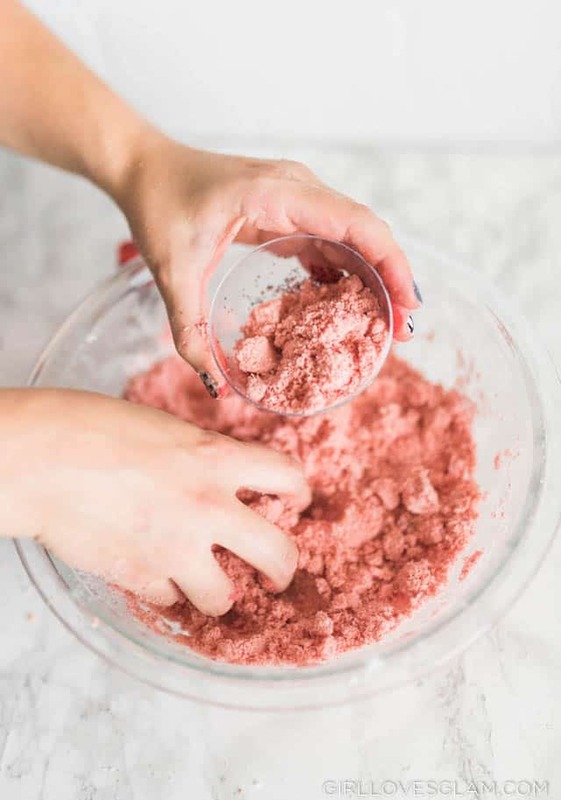 To make blood bath bombs, you need to start with the basics. The bloody part comes last. 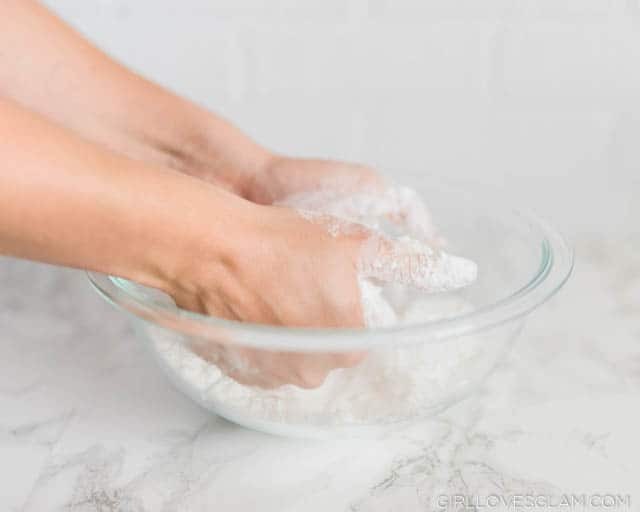 First combine baking soda, citric acid, corn starch, and Epsom salt in a large bowl. 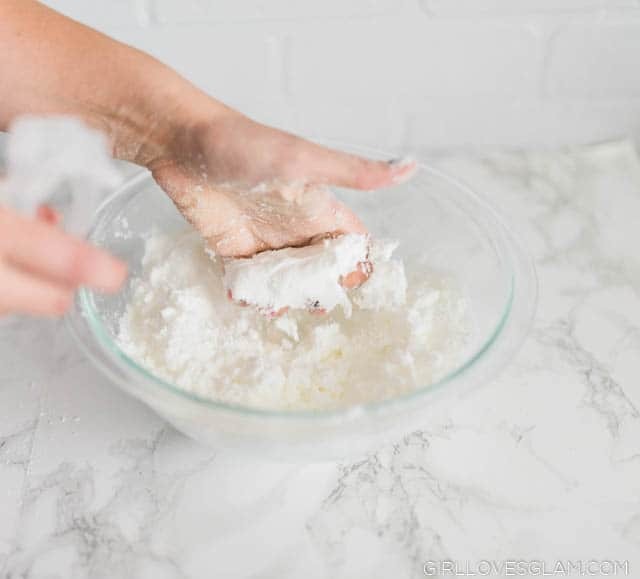 Next, add the coconut oil and mix it together with your hands. 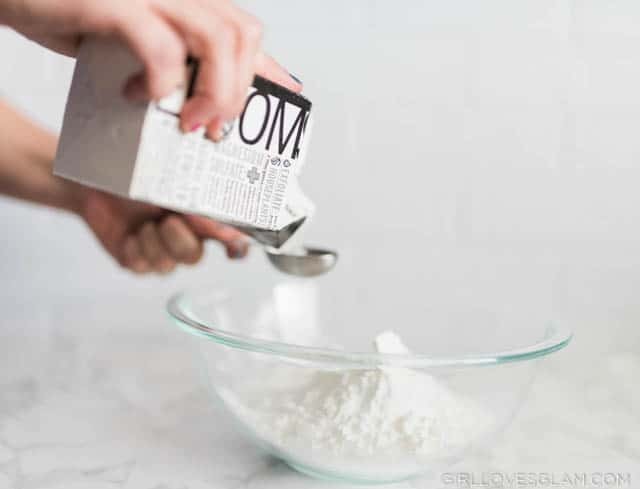 This ensures that you get the coconut oil distributed throughout the mixture. Now, spray witch hazel in the mixture. Spray 5 sprays at a time and mix it all together, until the mixture is wet enough to hold together when you squeeze it in your hand. You don’t want it to be too wet, or the mixture will continue to react and won’t hold itself together at all. Now is when the fun really starts! Add the food coloring to the desired level of red. If you want it to be more gory, add a little black into the mixture. Add enough of both of the colors to really make it really deep red. 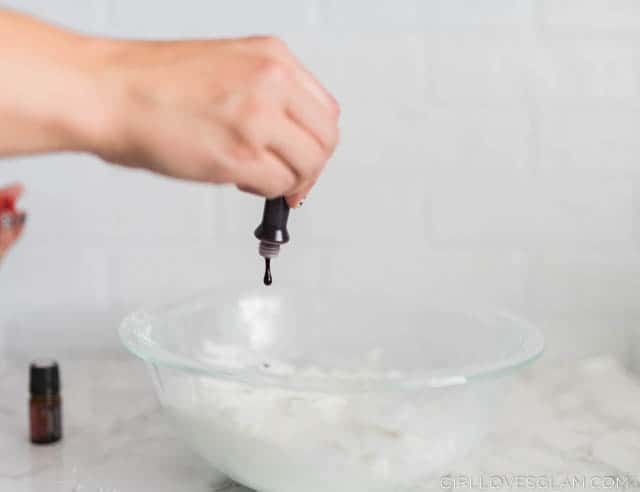 Add the essential oil of your choice to the mixture and mix well. 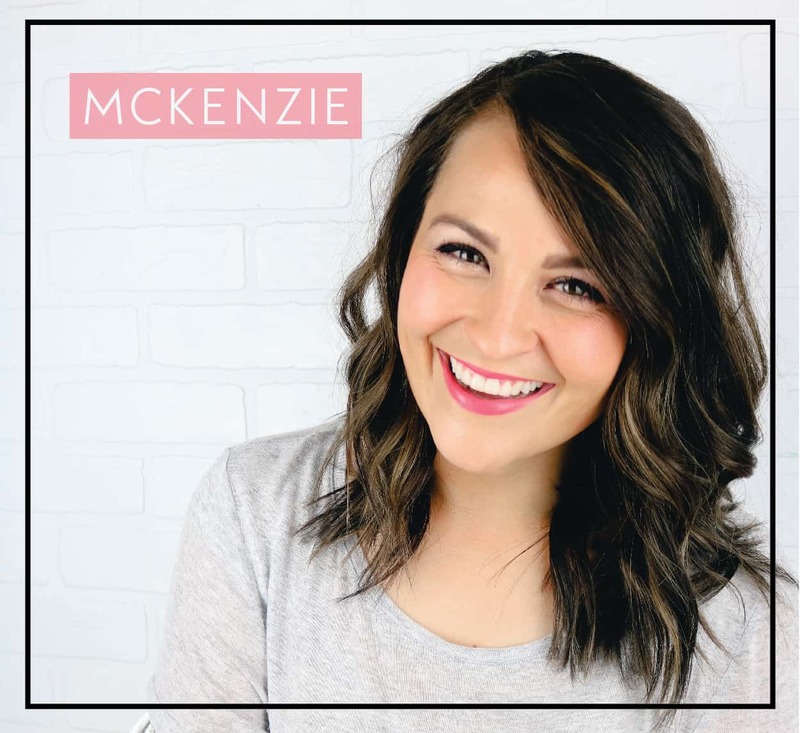 If you need good scent combination ideas, I personally love the grapefruit ginger bath bombs and the coconut peppermint bath bombs that I shared recipes for. 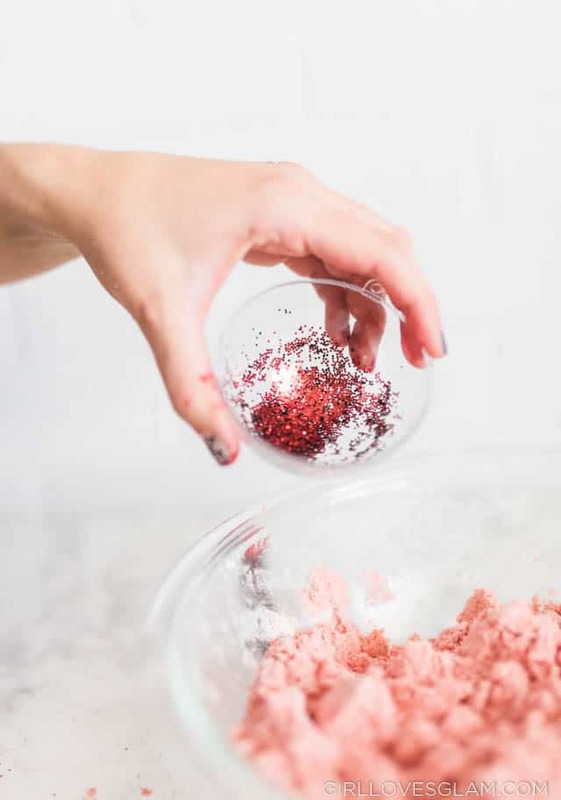 Sprinkle red and black sprinkles in one half of the bath bomb mold and get it around as much of that bath bomb mold as you can. Add the bath bomb mixture into it. Really make sure you pack the mixture in there so that it is full. Push both halves of the bath bomb together. Hold it together with an elastic or rubber band. 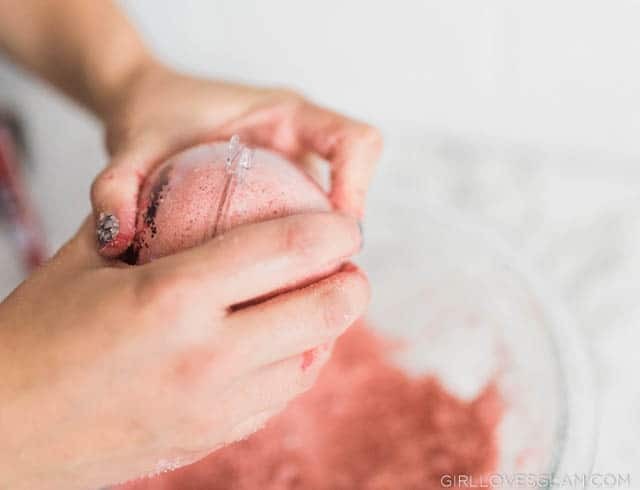 Place your bath bombs in the freezer for at least an hour, or let them dry overnight. When you are ready to take them out of the mold, gently twist the mold and pull apart. They will pop right out of the molds. 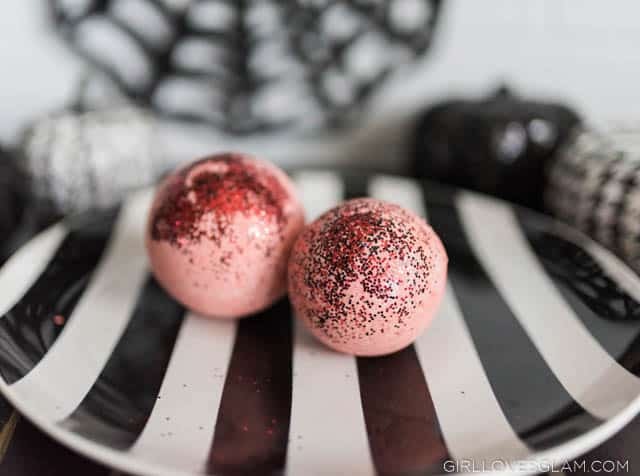 Now you can celebrate Halloween with your new favorite bath bomb, or gift them to one of your sick, twisted friends! I was excited with the bright red that I achieved, but you can make yours even bloodier looking with more coloring and adding black or brown food coloring. 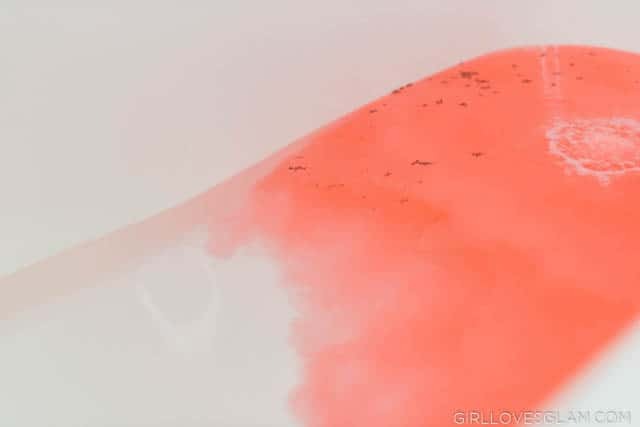 I love the deep level of red that this bath bomb on Etsy is. 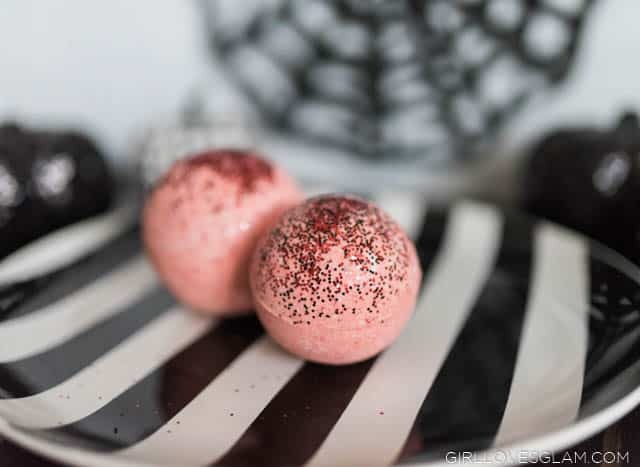 I would love to see your bloody bath bombs if you make them! 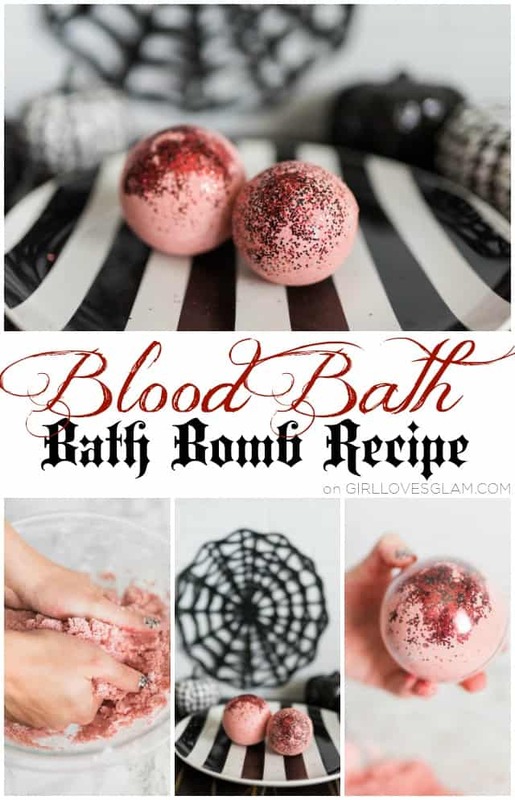 Could this be a Bloody Mary bath bomb? 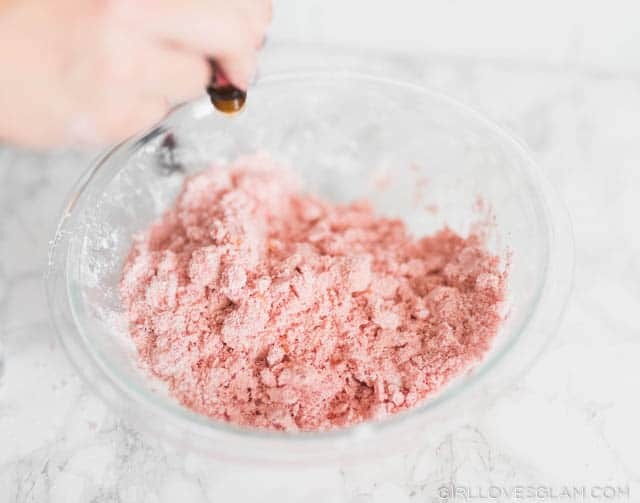 It probably could be a Bloody Mary bath bomb if you use celery salt.